← It’s the launch party for BUNNIES!!! by Kevan Atteberry! MG: In relation to that, did the images come first, or the storyline, or was it a more back and forth process? KA: The image came first. On October 20, 2012. 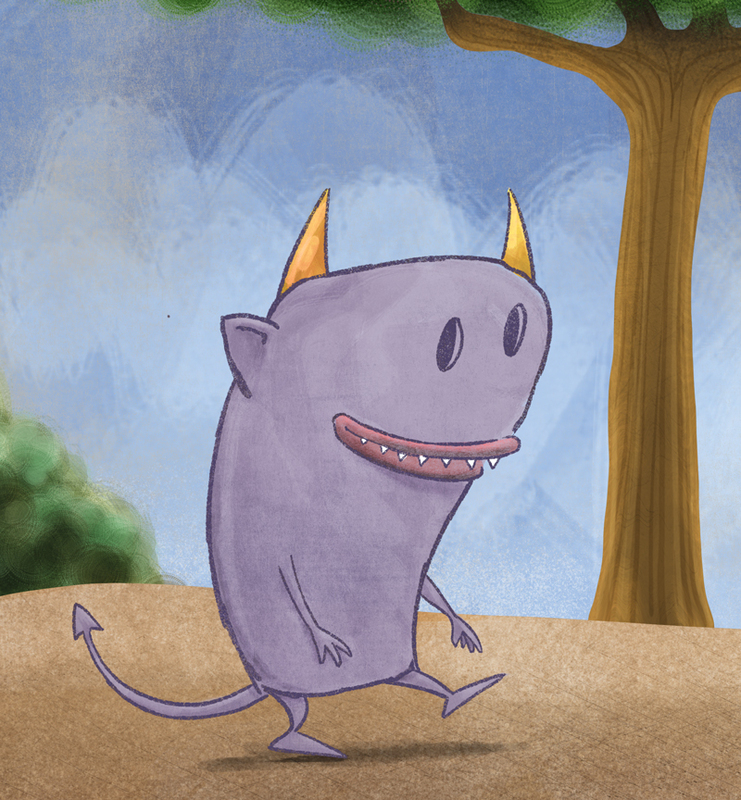 In November 2012, during Picture Book Idea Month (PiBoIdMo), I came up with an idea for a story about that monster. And in December 2012, I was going through my PiBOIDMo entries and landed on that particular idea. I wrote the story in one day. Then I thumbnailed the story the next day. I had the first dummy a day or two after that. MG: How did Declan first appear to you? How do the first sketches compare with the Declan in Bunnies!!!? How would you describe his evolutionary process? KA: This first Declan (though he wasn’t Declan at that point) was the one above. When I started the thumbnails and the dummy, Declan took a different proportionate appearance than what had inspired him. 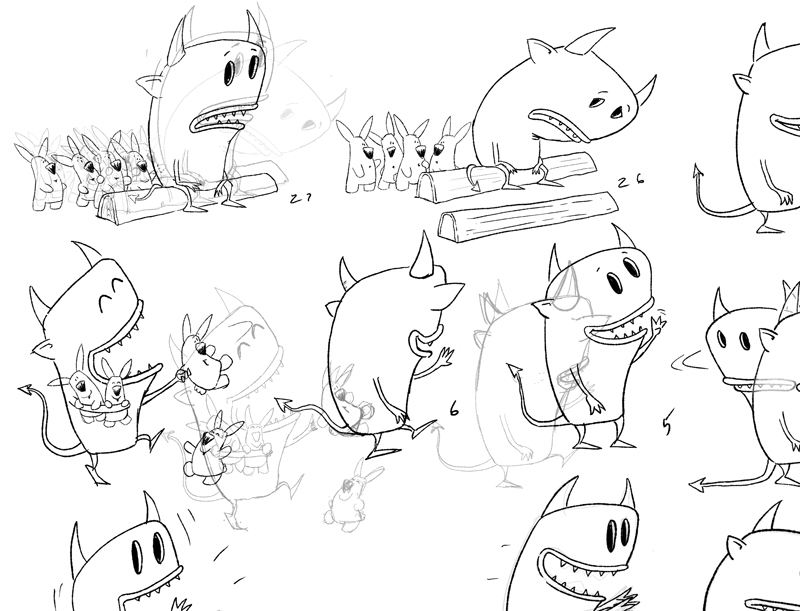 Here are some looks at him from thumbs to sketch to dummy stage and finally where we ended up. KA: You can see in this comparison where we kind of started from and ended up. 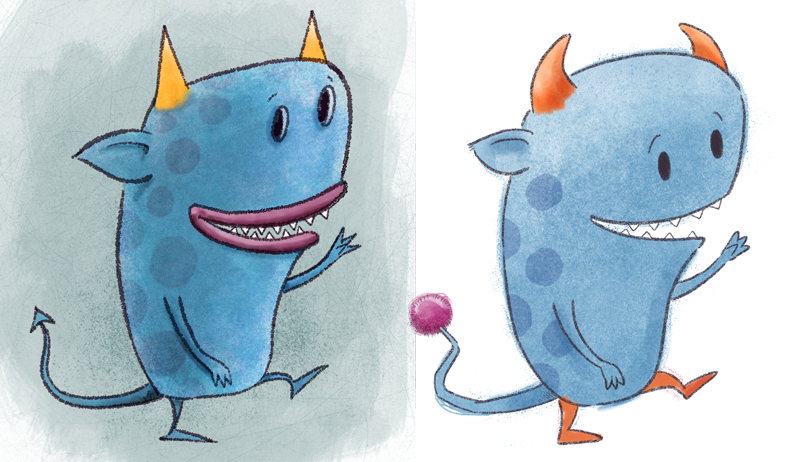 The publisher felt we should replace the pointy tail with a puffy tail, soften the horns and teeth, lose the hollow eyes and lips. Though I like both versions, I completely trust my editor and art director in giving Declan his new look. MG: This is your author-illustrator debut. How would you compare/contrast the creative process between making your own book, rather than working as the illustrator of someone else’s story? KA: I’ve never felt a sense of ownership on books I’ve illustrated for other people. I like them and am proud of them but in the end, they are the authors’ books and I just feel lucky to have been the one to illustrate them. Because of that, I never felt compelled to initiate marketing for them. Or to arrange signings. Though I always participated with enthusiasm when asked. 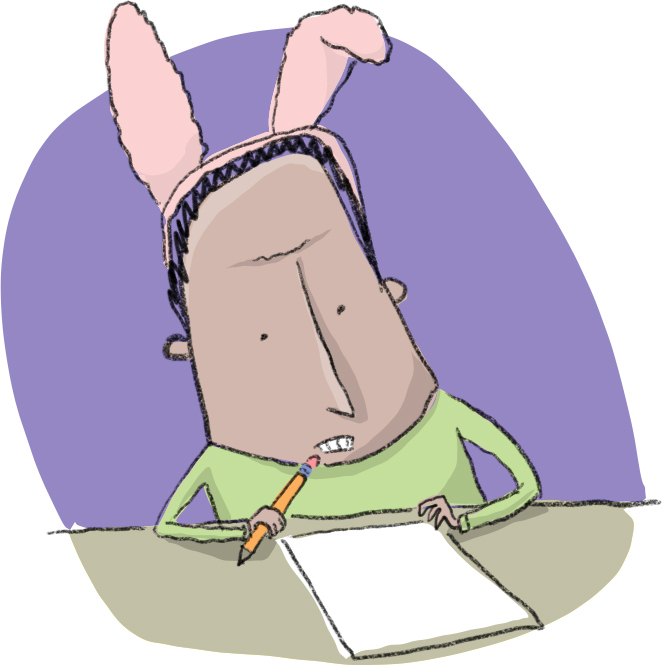 Now, having penned my next book (as well as illustrated it) I am completely behind it! I want to do everything I possibly can to push it, promote it, make the world aware of it. I will be having my very first book launch next week and I am thrilled about it! MG: Declan’s joy is contagious! Where does that come from? Was he inspired by anyone, or anything in particular? KA: Declan has a toddler’s sensibility. His excitability and his sorrow are both exaggerated. And he can swing between the two quickly. Simple pleasures. MG: Do you have more adventures planned for Declan and his bunny friends? KA: I am working on a follow up book with Declan and the Bunnies. It will be out next year. The title is Puddles. You can probably guess what gets Declan’s motor running for this book. Thanks so much for joining us, Kevan!! 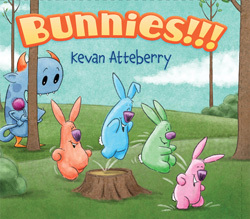 This week Kevan will give away TWO signed copies of Bunnies!!! For a chance to win, please leave a comment on this post, or any other this week! Maria is obsessed with—you guessed it—DOGGIES!!! 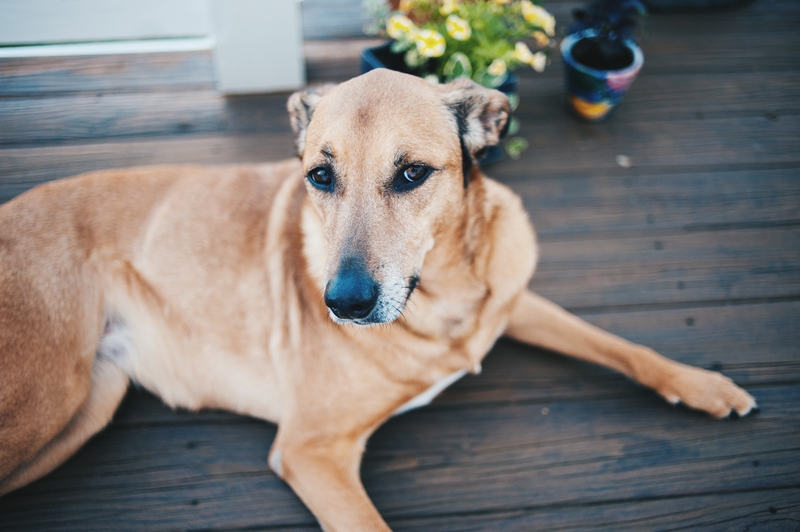 Especially her beloved Dixie Chick, Becca. Isn’t she a beauty? Maria’s debut picture book, Penny & Jelly: The School Show, illustrated by Thyra Heder will be published by Houghton Mifflin Harcourt in July 2015, with a second Penny & Jelly book to follow in Spring 2016. Maria has both fiction and nonfiction picture books forthcoming from Roaring Brook Press, Aladdin Books and Boyds Mills Press. She is represented by Ammi-Joan Paquette of Erin Murphy Literary. To learn more, please visit her website: mariagianferrari.com, or visit Maria at Facebook. Photo of Becca by Monogram Arts Photo. Congrats, Kevan on Bunnies and all of Declan’s upcoming adventures! It’s always fun and inspirational to learn from a fellow creative. So fun to see the start to finish changes here. Go Kevan! Can’t wait to read this one!! You’re going to love it, Courtney! I love how the bunnies are different colors! Very observant, Maryanne! I’ll pass your question on to Kevan! Hi Maryanne, Good eye! Yes, Green bunny’s nose is round(ish) as opposed to the other bunnies’ noses which are kind of triangular shape. My art director and editor wanted slight differences in all the bunnies. 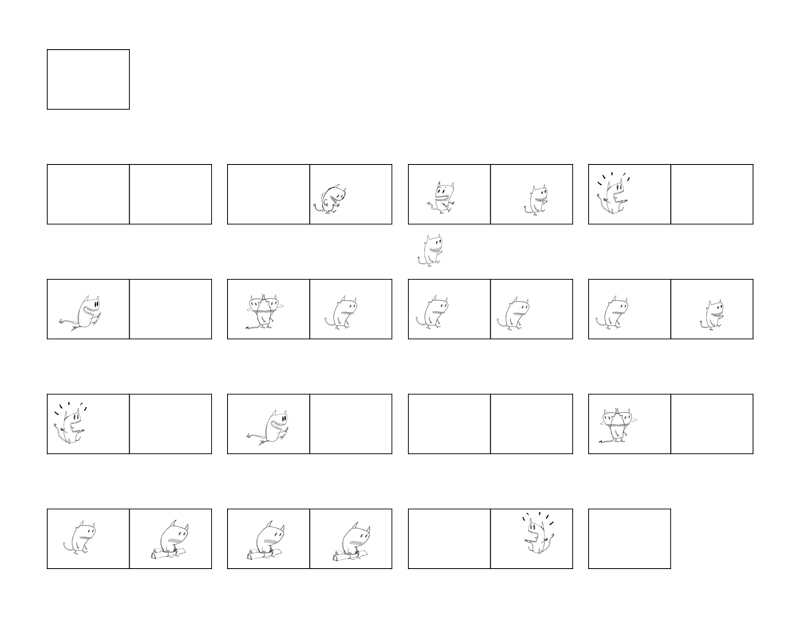 (This would also be helpful in figuring out who is who if for some reason they were represented in black and white.) So Orange is kind of chubby, Blue has a bent ear, Green has the round nose and Pink has none of those. That’s so interesting – never thought about the need for differences like that. Green Bunny’s nose just caught my eye right away. I will go back and look at the others more closely now! Thank you for explaining! It took me a while to get used to it but now I love it! Congratulations Kevan! I can’t wait to read BUNNIES! I’ve been waiting for this one since last spring. Congrats Kevan! I’ve been waiting for this since last spring. Can’t wait to get my hands on it! Oh what a pleasure to learn a little bit about Declan’s (and Kevan’s) evolution! Thank you for taking us behind the scenes and inside your brain. I was thinking just yesterday how the puff ball tail was such a perfect touch…Congratulations, Kevin!!!!! It’s funny about the puff ball tail. I’ve really grown attached to it. Or it has become attached to Declan. So interesting to see the evolution of Declan! Looks like a delightful book! Thanks, Tam, Lindsey & Carleen!! Yay, Declan!! And to think I knew him when. . .
I’m a fan of pointy, scarcy, devil tails, but I accept Declan’s new puffy tail. It really is amazing how the feel of the character changes along with little details like the tail and eyes. I can use the pointy and scare tail and horns on another character! I loved hearing about the evolution of Declan…fascinating! Thanks, Maria and Kevan! Go Bunnies!!!! Thanks for your comments, Elizabeth, Mike & Penny, and special thanks to Kevan, Declan & the cast of bunny characters! Don’t forget to join us tomorrow for another special book launch event! Oh, this is so cool. It’s awesome to get a glimpse behind the scenes at your process, Kevan! The resulting Declan is so endearing and lovely, and my little boy is so much like him. I can’t wait for PUDDLES!!! which is pretty much my life. We have to stop and splash in every. Single. One. You’ve made something wonderful! Kevan, you are a gifted writer/artist. I loved seeing this book evolve. I love to see the process behind the creation! Thanks for sharing! Thanks for sharing information about this wonderful book! Yes, love the puffy tail too =) Congrats, Kevan! Declan is charming. Love his toddler personality. I love it and it was interesting to hear your process. Congrats and thanks for sharing. The book sounds intriguing–I can’t wait to read it! Thanks for sharing the story behind the story. I love books with monsters and Declan looks like no other monster I have met. Good luck with the book Kevin! This looks like such a fun book. Declan is an awesome monster. This book looks so cute, thanks for the giveaway, and thanks Tara Lazar for sharing! Declan sounds like a lot of fun! Looking forward to reading Bunnies. I want to know what happens with these bunnies!! Thanks, Claire, Pascale, Sylvia, Jon & Kimberly!! The puff ball tail says it all. Declan is an adorable monster! And who doesn’t like bunnies? Super idea and wonderful illustrations! So cute!! I love that he completely trusted his editor and AD, I feel like that is something everyone is afraid of in this industry. “What if they make me change my illustrations?” “What if I don’t like the illustrator they choose for my book?” There’s a reason they’re the pros! :] Thank you for sharing! The pictures instantly grab me. I love the idea already. What a great writing/illustrating journey. So happy for you! The book sounds wonderful too. That was a funny bunny interview. I love the story , and it being like Spring in Calgary these days I can see our white bunnies a bit confused by the missing snow. Declan is a great illustrator and storyteller. Thank you for sharing. Thank you so much for sharing your creative process with us! Inspiring! Love this idea. I’m NOT an illustrator, but my new year’s resolution was to draw a hundred pictures this year. I think I’ll draw a month’s worth of monsters. So much fun! This is adorable. I love Kevan’s style! I can’t wait to get my own copy and share it with my kindergarteners and 2nd graders (I’m the AP for both grades at my school). I loved seeing the evolutionary process of Declan and compare it to the drafts of my own manuscripts…so different from where they started out, but still with a similar concept. Thanks for sharing! Love this!! Can’t wait to read! Congratulations, Declan! Cannot wait to introduce Declan to my son. So much fun to read about how such an endearing character came to be! I saw a hilarious book trailer for this one a few weeks ago. It was great to hear his process. Thanks! Wonderful post… thank you! My girls will love Bunnies!!! I love seeing the progression of Declan and the book looks adorable. I enjoyed the window into your creative process and watching how Declan evolved. Thanks! This sounds like such a fun book! I can’t wait to read it. I love monsters and bunnies, so that’s a perfect mix to me. I am always interested to hear about an illustrator/author-illustrator’s process since I am not an illustrator. I am envious! I imagine pictures and hope the words I write down are doing them justice. You talked about books that you’ve illustrated that are really the author’s books, but I have to disagree (at least when it comes to picture books). Yes, the author dreamed up the words, but the illustrator brings the words to life! I think of it like putting music to lyrics. Both can be beautiful alone, but together they really sing! Congrats on your new book! Thanks for sharing your journey! Best of luck on the “Bunnies” launch! Love hearing how your story came to life! Thanks for sharing and congratulations on your book! So much fun seeing the progression. Reminds me of seeing Pooh Bear and Arthur early versions. Thanks for sharing! I agree with the editor on the monster changes. Sounds like an exuberant book. Looks like a great book! Can’t wait to read it. Thanks for sharing. I loved seeing the evolution of Declan (a name I’d never heard before and now twice in the last few months!). The story looks/ sounds awesome! Looks like tons of fun, plus adorable!!! Congrats! Thank you for the glimpse into your creative process! It is an amazing journey. I can’t wait to share the book with my neices and nephews. Thanks for a great interview. It was interesting reading the process of an author-illustrator. Looking forward to reading Bunnies! Thanks for sharing, Kevan. Bunnies are always cute, but Declan is totally adorable!!! Bunnies and monsters – love the combination! 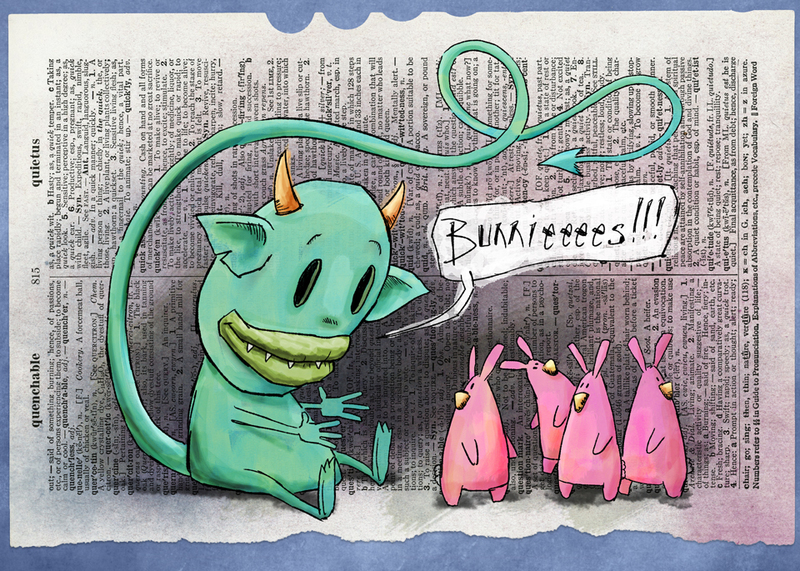 I thought your FB monster was smitten by the bunnies, but I see why some people would think it wanted to eat them. Looks like a hit. Thanks for sharing your inspiring journey. I love the illustrations they are very likable. Thank you for telling the story. I love Kevan’s monsters, and I can’t wait to read his book!! Thank you! Congratulations to you, Declan, and the bunnies! Love to hear about illustrators’ processes – since I can only draw circles … Looks like a fun book.! Congrats to Kevan! I like the name Declan and I was surprised to know that an art director has the final say on drawings by an illustrator. I thought it was mostly creative for the illustrator to do. Does it change when the book is written and drawn by the illustrator? Your illustrators’ process was very interesting. I can’t wait to find out o Declan is smitten or wants to eat the bunnies? I hope he is smitten : ) Very cute! Great to see the versions of Declan. Also wonderful that another PiBoIdMo session has produced success. Kudos for Kevan! I love the bunnies. They seem to be as inquisitive as Declan. Congrats! I can’t wait to read it and see your illustrations. There is something about the ears . . . it’s like we’re kindred spirits. I too like the softer look of Declan. A monster a day? That’s neat- hmmmmm…..maybe I should work on a character a day….interesting concept! Thank you! I appreciate your perspective as both the author and illustrator. Never say never, but I am pretty sure I’ll only be able to speak from the author and “not complete owner” perspective. Congratulations! There is such sweetness in BUNNIES, and at the same rime, such strong emotion. I love the spread where Declan and the bunnies first meet! Huzzah for Kevan! I look forward to reading this book. I’ve enjoyed Kevan’s 30 days of monsters every October, which has inspired my 31 Days of pandas every December. Huzzah again. Congratulations! I’m amazed at how quickly you were able to complete the dummy. You are an inspiration! Looking forward to reading it and all Declan’s future tales. I love hearing about the developmental process. Well done Kevan and yay for Declan and the bunnies!